The mission of Match School is to prepare students to succeed in college and beyond. Match Charter Public School (Match) is an innovative, high-performing free public school in Boston. Match is widely recognized for its success in preparing students for success in college and careers. Match currently includes four campuses, and these campuses span grades preK-12. Match currently serves nearly 900 students; 1,250 students will ultimately be enrolled in Match. The students served by Match are predominantly low-income (78%) and minority (96%). 38% of students at Match are English Language Learners. All students at Match experience outstanding teachers, an extended school day, and universally high expectations. From grades preK through12, Match provides an outstanding education to high needs students in Boston. Students at Match dramatically outperform their peers according to metrics including the SAT, advanced placement exams, and state standardized tests. Approximately 80% of Match graduates gain acceptance to a 4-year college. Over the past decade, approximately 56% of Match alumni have gone on to graduate from 4-year colleges, as compared to 12% of high school graduates nationally who come from families in the bottom income quartile. 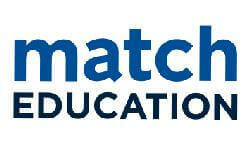 Match tutors play a key role in the success of the education at Match. The tutors assist students in mastering specific academic content, motivate students, and engage parents in supporting the learning of their children. In part as a result of their experience at Match, many tutors go on to become teachers in high-needs schools or to pursue other endeavors in public service. The work of Match has a significant influence both on our local environment and on the national landscape. Match offers a proof point that all students, regardless of race, class, or home language, are capable of achieving at the highest levels. Match partners with schools and districts across the country to adopt innovative practices developed by Match including high-dosage tutoring.